Are you searching for the perfect outdoor compact refrigerator for your outdoor kitchen or outdoor bar? We've compiled our top rated outdoor mini fridges to help you discover the one that's right for you. Based on customer feedback, popularity, overall value, and performance, the outdoor compact refrigerators that made this list are sure to serve you and your guests for many years to come. The Lynx 5.3 Cu. Ft. Outdoor Rated Compact Refrigerator is our expert pick for the best Outdoor Compact Refrigerator. Made of stainless steel, this durable outdoor refrigerator is made for outdoor use. This commercial quality refrigeration unit uses a forced air system and digital controls, as well as a seamless insulated interior liner. 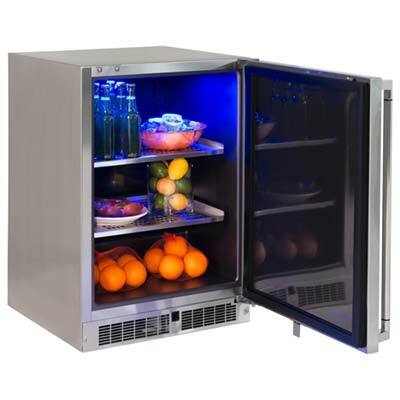 Accented with cool blue LED lights, this Lynx outdoor compact refrigerator is the perfect addition for your outdoor bar. The Marvel 6.54 Cu Ft. Outdoor Rated Compact Refrigerator is our next expert pick. The Dynamic Cooling Technology in this unit uses fan forced air for faster cooling and temperature stability. A pristine arctic white interior makes for easy cleaning, and the efficient white LED lights inside illuminate for better viewing. This unit also features a close door assist system, as well as audio and visual alarms that indicates if the interior temperatures fall outside the storage parameters or if the door is left open for longer than 5 minutes. If you are looking for a quality outdoor refrigerator, you can trust the Marvel brand. The Blaze 4.1 Cu. Ft. Compact Refrigerator is our next pick for best outdoor refrigerator. 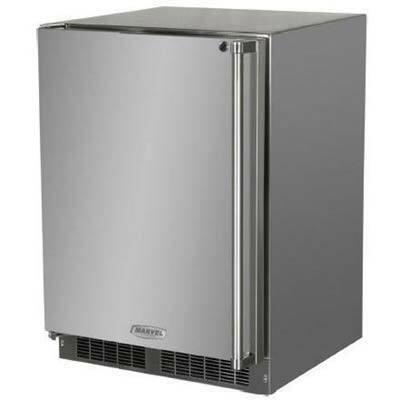 This outdoor rated compact refrigerator is made of all 304 Stainless Steel, and features 4.1 Cu Ft. of storage space. The interior comes with 3 adjustable wire shelves, a drink can holder, 3 in door shelves, and a lock for security. 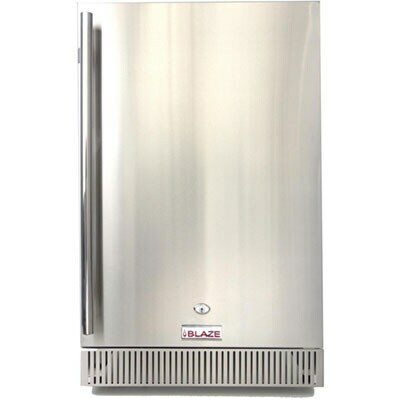 If you are looking for a high quality, affordable, outdoor rated refrigerator, the Blaze Compact Refrigerator is the choice for you.